If you have the iphone and want create your own custom ringtones, so you can enjoy own custom ringtones on your iphone 4. Here is the Guide which will help you to this with few simple steps. Using iPhone Ringtones Maker, you can make as many iphone ringtones as you want for free. 2. Now run the App and Import file you need to convert to M4R iPhone Ringtone by pressing “Browse” button on the right of “Input File”. 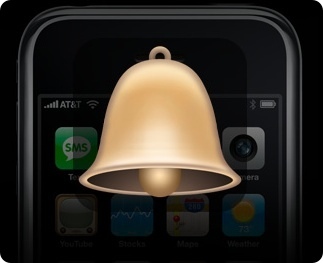 iPhone Ringtones Maker can convert almost all the mainstream video/audio format to M4R iPhone ringtone, such as avi, mpeg, mp4, mov, flv, mp3, aac, m4a, wma, etc. to M4R iPhone Ringtone in a easy and quick way. 3. Now you have to reset the start & end time directly. After then you can “Pre-listen” the segment before converting. 4. Now click “Browse” button to choose destination to save converted M4R iPhone Ringtone. 5. Click Generate Button to create the ringtone. Once the ringtone is save than you can import that ringtone in your iPhone 4 via itunes.